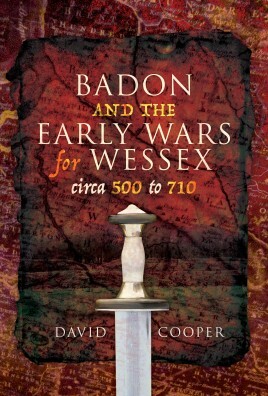 David Cooper’s book reappraises the evidence regarding the early battles for Wessex territory. It charts the sequence of battles from the c. AD 500 siege of Badon Hill, in which the Britons defeated the first Saxon attempt to gain a foothold in Wessex territory, to Langport in 710, which consolidated King Ine's position and pushed the Britons westwards. Discussion of the post-Roman British and Germanic factions provides context and background to Badon Hill, which is then covered in detail and disentangled from Arthurian legend. In considering how the opposing commanders are likely to have planned their campaigns, enduring principles of military doctrine and tactics are discussed, using examples from other periods to illustrate how these principles applied in Dark Ages Britain. Going on to follow subsequent campaigns of the West Saxons in southern Britain, a credible assessment is made of how these resulted in the establishment of a viable Wessex kingdom, two centuries after Badon. Grounded in the latest academic and archaeological evidence, David Cooper offers a number of new insights and ideas. Dr. David Cooper was born in London and studied medicine at Guy’s Hospital Medical School, where he was influenced by the eminent heart surgeons, Lord (Russell) Brock and Donald Ross. After periods of teaching at Harvard Medical School in the USA and research at the National Heart Hospital in London, he combined his training in general surgery (under the transplant pioneer, Sir Roy Calne, in Cambridge) and cardiothoracic surgery (in London and Cambridge, under Sir Terence English) with teaching at Magdalene College, Cambridge, where he was a Fellow from 1972 to 1980. He was present at the first heart transplant in the UK in 1968, and a member of the surgical team that established heart transplantation in the UK in 1979.He then took up an appointment in Chris Barnard’s Department of Cardiac Surgery at the University of Cape Town, where he remained for more than seven years. In 1987 he joined Chris Barnard at Baptist Medical Center in Oklahoma City where he shared responsibility for patients undergoing heart transplantation and was Director of Research and Education at the Oklahoma Transplantation Institute. In 1996, he accepted a senior research position at the Massachusetts General Hospital and Harvard Medical School in Boston where he explored the possibility of using pigs as sources of organs for transplantation into human patients, a topic he had investigated since his days in Cape Town. Between 2004 and 2016, he was a professor of surgery at the Thomas E. Starzl Transplantation Institute at the University of Pittsburgh where he continued this research. Currently, he is co-director of the xenotransplantation program at the University of Alabama at Birmingham.He is the author or editor of several academic books on organ transplantation and coauthor of more than 850 scientific and medical papers or chapters related to clinical heart transplantation or cross-species organ transplantation research. His previous books for the layperson include ‘Xeno’ (2000, co-authored with Robert Lanza) in which he outlined the potential of using pigs as sources of organs for clinical transplantation; ‘Open Heart’ (2010), the story of the surgeons who pioneered heart surgery; and ‘Doctors of Another Calling’ (2014, editor), which recounts the lives of physicians who are known best for their contributions outside of medicine.In ‘Chris Barnard, the Surgeon Who Dared’, David Cooper draws on his personal knowledge of Chris Barnard, with whom he remained friends until the latter’s death in 2001, and on his great experience in the field of heart transplantation, which involved him for 17 years.